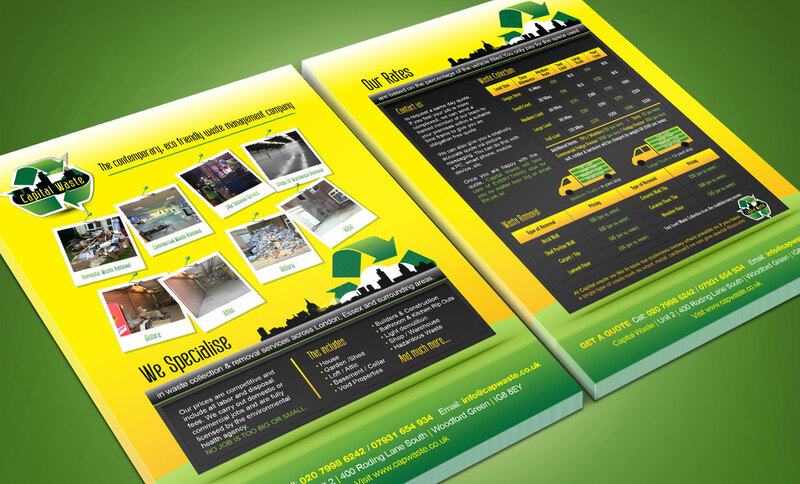 Capital Waste is a waste management company offering waste collection and rubbish and junk removal across London, Essex, and the surrounding areas. Whether doing a commercial or domestic job, their prices for office clearances, domestic clearances, WEEE collection, hazardous waste and garden clearance are always competitive. While the company already had an established reputation in the community, its leaders were looking to rebrand to help reflect the contemporary, eco-friendly nature of the business, as well as the owners’ Jamaican cultural heritage. One of the client’s partners had worked with V3 Creatives in the past and came to us for assistance with this new venture. Many of Capital Waste’s clients were visiting their existing website via mobile phones, so with an outdated website in place, it was time for an upgrade. We updated the original site with a responsive website that would look good on phones, tablets, and computers by adjusting the screen size automatically. In addition, we updated the company’s visual identity to match its Jamaican heritage, giving it that fresh, eco-friendly and contemporary look the owners were hoping for. We then updated the company logo, business cards, and promotional flyers to match our other work with the brand. 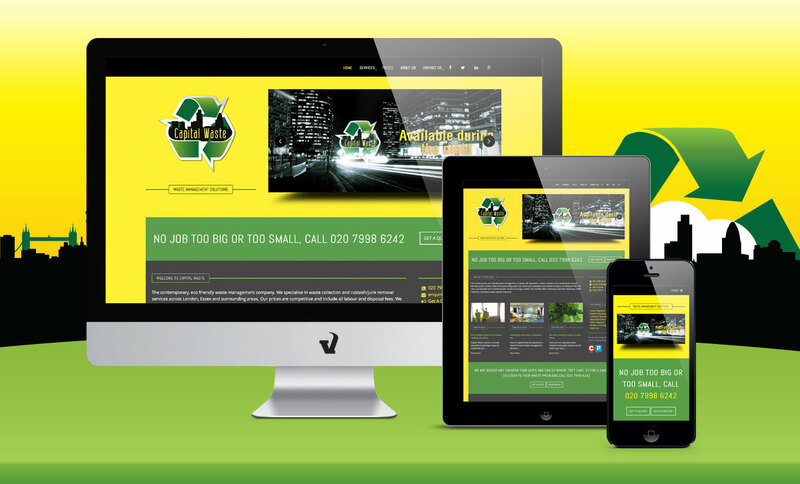 Updating Capital Waste’s was a vital part of the marketing strategy, as it kept visitors on the site longer. 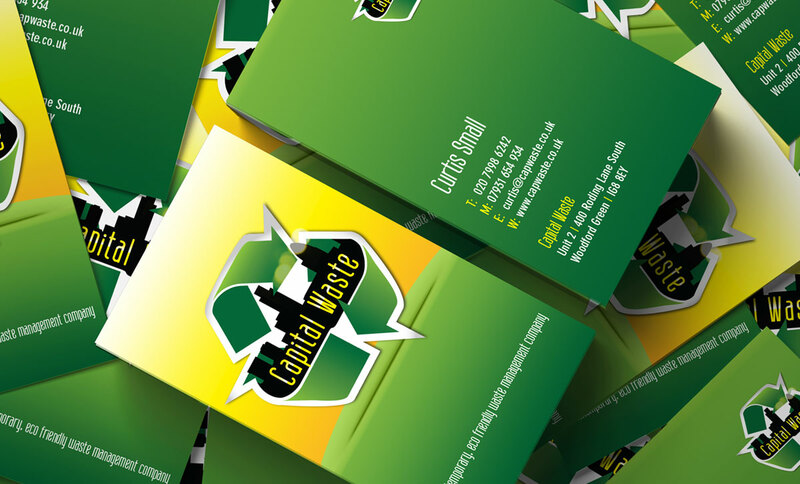 Along with the upgrades to their branding identity, Capital Waste’s leaders were very pleased with the final result.